Wahoo’s first heart-rate sensor was of the pedestrian ANT+ variety, and connected to the iPhone through a 30-pin ANT+ dongle. Around a year later, the Atlanta-based outfit introduced the first heart-rate sensor that connected to a smartphone through Bluetooth; specifically and only to the iPhone 4s, since that was the only phone at the time with Bluetooth 4.0 under the hood. 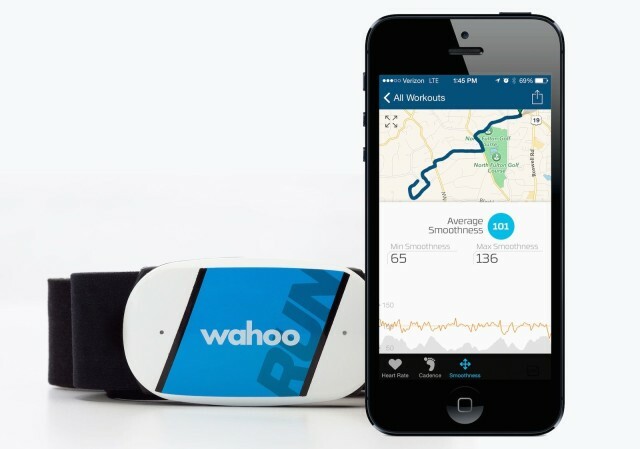 Wahoo upped the ante again in January at CES, when they revealed a radical departure from traditional heart-rate based fitness tracking: Their new highly sophisticated, three-model TICKR sensor squad, combined with an all-new app that turns conventional fitness-tracking on its head. Now the first of the TICKR trio, the TICKR Run, is hitting the street. Using a triple axis motion sensor, TICKR Run contains an accelerometer that measures a runner’s form in three planes: vertically, side-to-side and front-to-back. Wahoo says a sophisticated algorithm crunches the numbers to come up with what it calls a “Running Smoothness” index, which measures how sloppy or clean your stride is. The accelerometer can also track distance run on treadmill via the device’s aptly names Treadmill Mode. Of course, all the conventional data (ie, your heart rate) also gets crunched, and either fed into a third-party fitness app, or into Wahoo’s new app — which is revolutionary in its own right, with a coach-like brain that analyzes how far along you are in your regimen and suggests the appropriate workout.